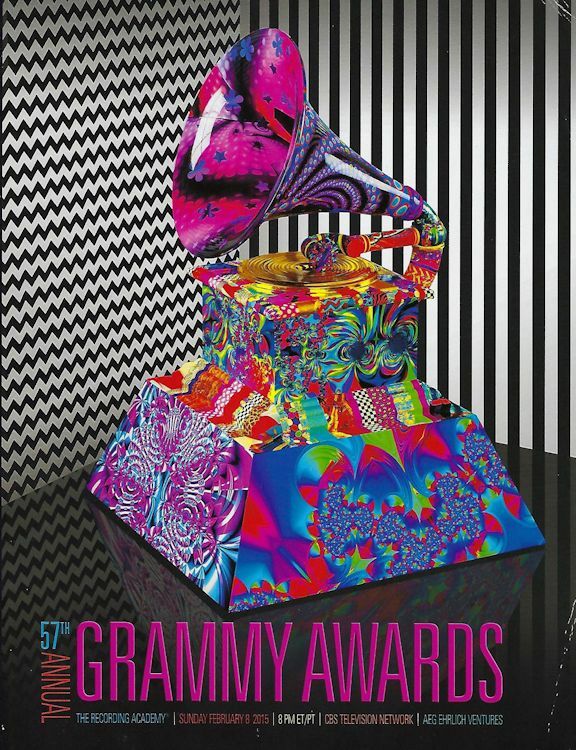 The 57th annual Grammy Awards were held on February 8, 2015 at the Staples Center in Los Angeles, CA. Sam Smith won 4 awards, Pharrell Williams and Beyonc� took three honors. Lifetime achievement awards were given to the Bee Gees and George Harrison. Featured here is an official and highly collectible awards program from that evening. Printed on high-quality paper stock, the program counts 240 pages. It contains articles about all of the nominees and lifetime achievement winners. Additionally, there are great full-page (mostly congratulatory) ads which were exclusive for this event. Among them are ads for Taylor Swift, Bee Gees, Kelly Clarkson, Buddy Guy, Herbie Hancock and Bob Dylan.